The first-ever Melbourne Sessions went down on Friday, July 6 at Kindred Studios, and what a day it was. 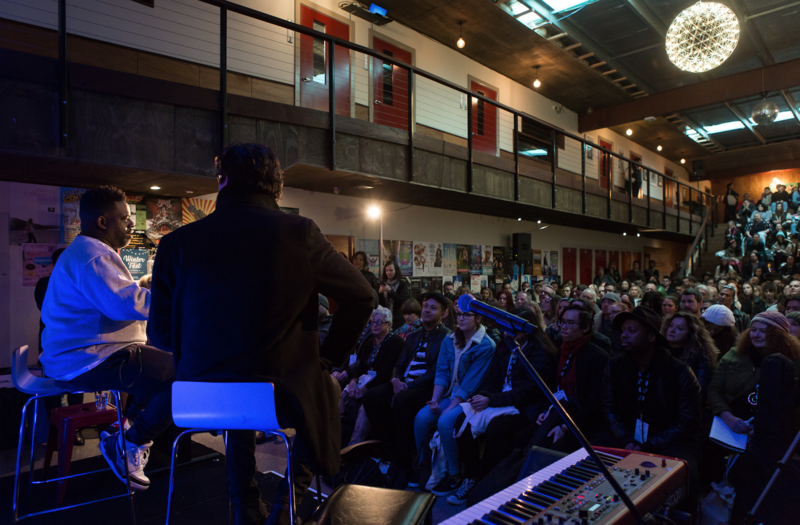 Over 200 songwriters and composers were in attendance, with most hailing from Victoria, but we also met keen participants from Hobart, Canberra and Adelaide. So, with a program including a one hour keynote ‘in conversation’, 90-minute masterclasses, 3-hour small group workshops, and a special performance at the end, what did we learn at The Melbourne Sessions? Let’s go to the list-making experts. On how to make a hit happen: when others go right, go left. Write the bad song and get it out, and don’t let anyone hear it. Another Warryn gem: when Quincy Jones recorded We Are The World, there was a sign on the studio entrance that simply said ‘Leave Your Ego at the Door’. Ben Abraham spoke earnestly to a packed masterclass, touching upon the ten years he spent pursuing music, and working a good job, before breaking through. Set goals, he said. Is the demo dead? Video games composer Jared Underwood talked about how much time to spend on a demo for a developer. The client might tell you to send a rough idea in, but you want your demo to sound good. To be ready. “Some say there is no such thing as a demo anymore,” and everything you do is considered the final. Laura Jean got real about lyrics in her workshop. “Sometimes a song doesn’t work because we haven’t used the right tense – past, present, or future,” Jean told her rapt audience. Use grammar to create the mood, the feeling, a sense of nostalgia or of hopefulness. Screen composer Bryony Marks (Please Like Me, ANZAC Girls, Barracuda), told her workshop that when writing music for the screen, you need to write for the different layers of what’s happening: the story as it is being played out, the undercurrent of relationships, and the foreshadowing of what is to come.